Now that I have a nail polish subscription box and my trusty Papergang box landing on my doorstep monthly my life is truly complete! Both boxes arrive at different times too which helps to prolong my excitement further. 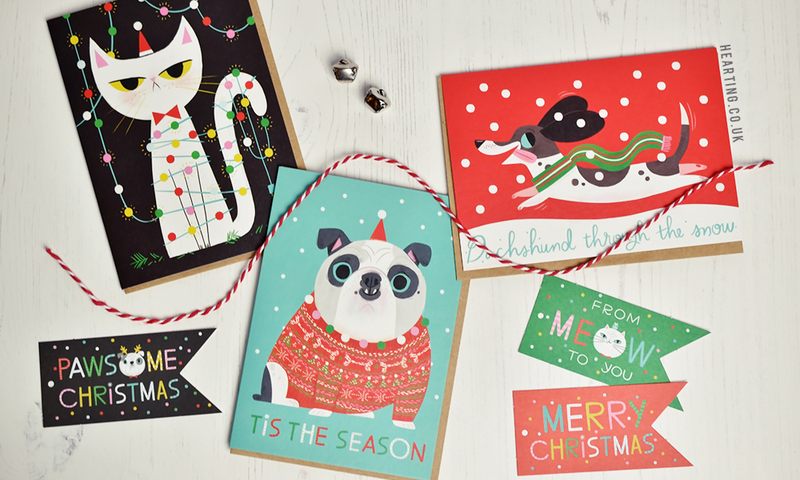 My November Papergang box arrived and I fell for the playfully festive cat and dog theme right away. Papergang have joined forces with Battersea Dogs and Cats Home for the November edit with £1 of every box sold going to this incredible charity which I think is really lovely. Illustrator Allison Back was commisioned to design the stationery this month and I adore what she has done with the theme, it’s absolutely delightful. It goes without saying that every piece of stationery included is up to Ohh Dear’s usual level of quality and standard with every single item beautifully designed and packaged. I love all of the Christmas cards, tags and wrapping paper as they’re perfect for this time of year and I can’t wait to use them for wrapping and tagging presents. 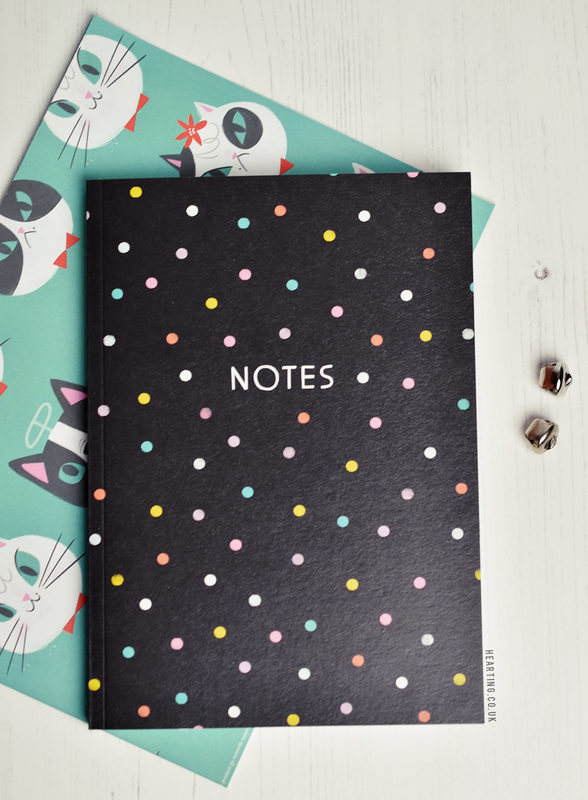 I have a few people in mind that will especially love the cat and dog theme too. Having said that, the notebook is very much the standout item for me this month. The colourful polka dot design reminds me of twinkling Christmas lights and is simply stunning – I cannot wait to start using it! The Papergang subscription boxes never disappoint and month on month they still come up with new designs and items to include so it never feels predictable. I already can’t wait to see the contents of the December box. 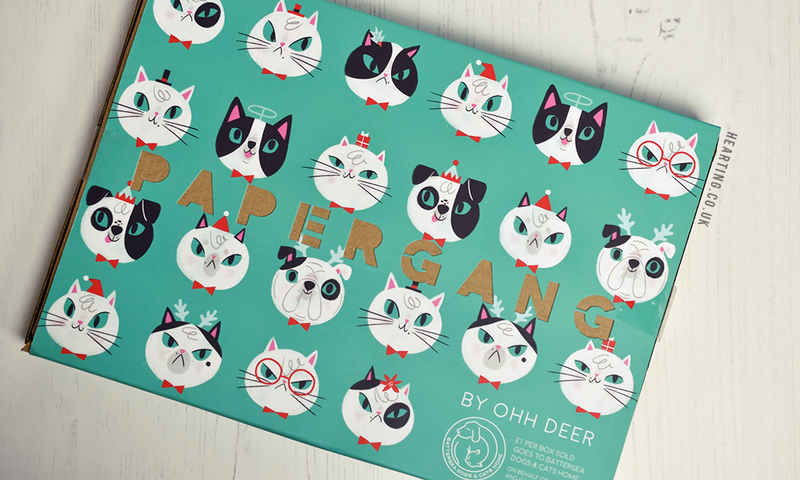 The Ohh Dear Papergang stationery subscription box costs £10.95 + P&P and is dispatched around the 21st of each month. Do you like the design of the November Papergang box?